Matt Machan was dismissed for a career-best 192 as Sussex built a commanding lead over Somerset on the final day of the LV=County Championship match at Taunton. By the time rain forced an early lunch at 12.45pm, the visitors had extended their advantage to 402 with a second innings score of 468 for four. Machan was finally stumped advancing down the pitch to Abdur Rehman, having faced 237 balls and hit 26 fours. His partnership of 290 with Chris Nash was a Sussex record for the third wicket against Somerset. Nash, unbeaten on 76 overnight, moved confidently to a century off 148 balls, with 14 fours and a six,and was 140 not out at the interval. While Craig Cachopa fell to Rehman cheaply, Luke Wright came in to smash the Pakistan left-arm spinner for three sixes in an over as his side moved towards a declaration. 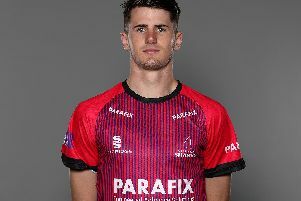 A Somerset attack deprived off Craig Overton, still feeling the effects of being hit on the helmet while batting the previous day, struggled to make any impression, despite overcast conditions.